Blombos Cave in South Africa has given us vast knowledge about our early ancestors. In 2015, four open access articles, with research finds from Blombos as a starting point, have been published in the journal PLOS ONE. 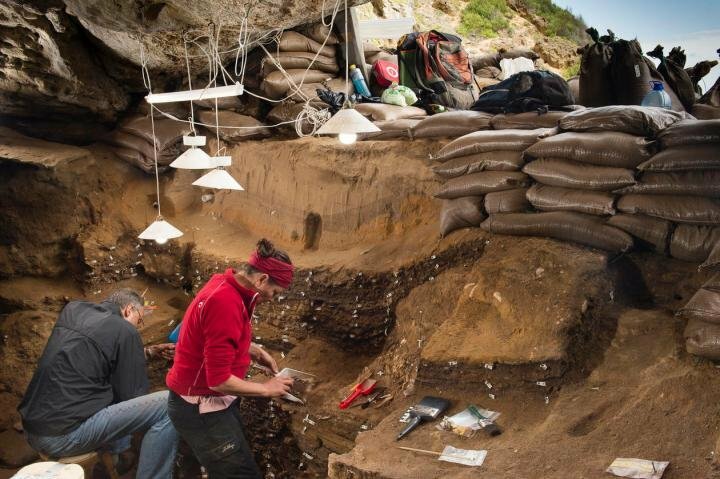 This image shows Blombos Cave, South Africa [Credit: University of Bergen] “We are looking mainly at the part of South Africa where Blombos Cave is situated. We sought to find out how groups moved across the landscape and how they interacted,” says Christopher S. Henshilwood, Professor at the University of Bergen (UiB) and University of the Witwatersrand and one of the authors of the articles.